Hilton Abu Dhabi Yas Island Resort is set to be part of the AED12 billion development plan announced by Miral for the southern end of Yas Island to further position the island among the world’s most sought-after destinations by 2022. 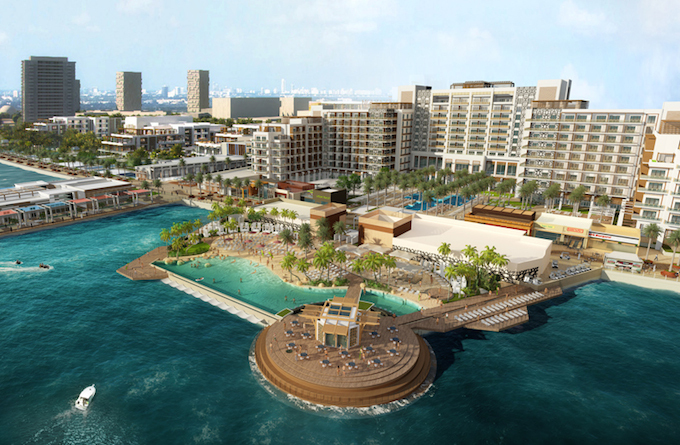 Hilton Abu Dhabi Yas Island Resort, opening in 2019, will be located in the Yas Bay, a three-kilometre stretch that is anticipated to become one of the most iconic and vibrant waterfront destinations in the region. The resort’s facilities will include a multi-purpose conference centre, seven dining outlets and an innovative urban beach concept with an infinity pool suspended above the waters of the Arabian Gulf. The resort is also near the 18,000 capacity Yas Arena, a multi-purpose indoor arena designed to host large and intimate scale events including sporting competitions, major cultural performances, concerts and MICE activities. B.R. Kiran, chief portfolio officer of Miral, said: “We are proud to announce our partnership with Hilton which represents another milestone in our journey to establish Yas Island as a top global destination. Yas Island is already world-renowned for its Yas Marina Circuit racetrack, the venue of the Formula 1 Etihad Airways Abu Dhabi Grand Prix, and attractions such as Ferrari World Abu Dhabi and Yas Waterworld Abu Dhabi. The South of Yas Island development is targeting more than 15,000 new residents, 14,000 daily visitors and 10,000 working professionals at the new campus of the twofour54 media zone.